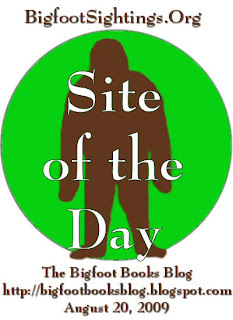 You can sign up to receive emailed blog posts and the helpful "Bigfoot Site of the Day" from bigfootsightings.org, run by Linda Martin of Happy Camp. If your Bigfoot bookmarks folder is as ridiculously vast and unorganized as mine, you'll probably love having these mails filed away for future reference. As elusive as the Creature is out in the real world woods, Bigfoot has proliferated wildly and monstrously on the world wide web. Let BF Sightings find the way through the woods for you, or at least provide some stimulating surprises you might not have seen for all the trees. 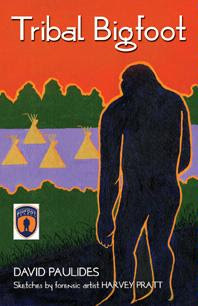 Linda has also organized a September 2009 reading group for Dave Paulides' TRIBAL BIGFOOT, so check it! The book is fascinating in its content and full of certain interesting peculiarities that make it unique. Basically a sequel to his Cryptozoological Book of the Year winning THE HOOPA PROJECT, this one expands its range to cover areas such as Willow Creek, Del Norte, Siskiyou and Trinity Counties, as well as Oklahoma and Minnesota. Dave's controversial in some quarters, but this just ads strength and distinction to these books where many other Bigfoot books seem to repeat the same stories and cover similar, familiar ground. 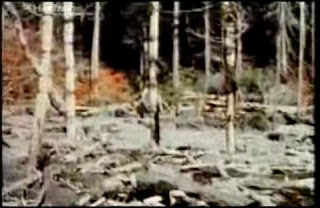 Dave has told me he has some "earth-shaking" revelations coming regarding the Patterson-Gimlin Film, but we'll remain mum on that issue for now... IS BIGFOOT HUMAN? Wait and see. Now to continue from our previous post.... THE BELIEVE IT TOUR needed a guide up to the Bluff Creek film site, and as Bobo was previously engaged, we were quite happy to oblige. Here is a further update on their visit at their blog: Willow Creek and the Start of the Bigfoot Scenic Byway. Here's the tale told from Bigfoot Sightings: The Believe It Tour’s Willow Creek Adventure. The Believe It Camp was set up right at the bottom of 12N13H, the "K" spur that takes one down to the film site area. Note: there are some nice swimming holes in the creek right at this area, if you look for them. 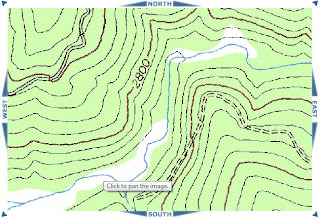 To get there: Look on your topo map: from "Eye See"/G-O Road take the Cedar Camp Road (12N12) left hand turn at about 16 miles up, then a couple of miles to the the sneaky right onto 12N13 at the green metal gate. From there it is about five miles down; just watch for the overgrown forest road spurs, three on right, one steep one on the left, and then you'll come to a big log landing on the left, and the 2.1 mile film site spur down (and I do mean DOWN) to Bluff Creek is to the right. Leave ALL low-clearance vehicles behind, and preferably take only 4WD ones in. After less than a quarter mile's bushwhacky hike east from the park/camp area (keep to the right along the hill's bottom--you are now on the old Bluff Creek road!--rather than the treacherous wood-filled creek to the left) you'll come out at a big "bend in the crick" (Bob Gimlin's words), fully jammed up with log debris and giant root balls. In the image are Brad, Craig Woolheater, Diana and SharonLee emerging onto the western side of the film site. Wounded legs and twisted ankles are common here as one navigates the woody mess. Be careful. We lost a couple of soldiers here. Once you hit the gravel below you're just before the area where Roger and Bob first spotted the creature (in our humble opinion). Just past the roots is a curved area of open gravel bar backed by a mess of young alder trees and scrubby shrubs. Judging from the recorded distances by those who were on the ground after the film was made (see Krantz, Perez, etc. ), this should be right about where the Creature was squatting by the creekside, hidden from previous view by the large wood chunks. 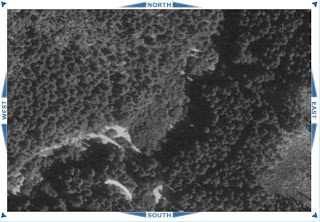 In this aerial photo of the area one can see the camp/park spot as a lighter clearing to the lower left. The creek flows under the dark shadows of trees one sees squiggling diagonally across the image. Now switch to the comparable topo image. At the spot where it says (oops, my bad!) "click to pan image" you are at that big bend. This is where a little creeklet flows (um, trickles, seeps) in from the south. Down on the creek bed and wading through the water briefly you will come around that slight rightward protuberance. Now, I believe, you are at the start, the first glimpse, before the film was rolling. But you can't really tell this from the creekside perspective. Because of the massive vegetal changes, not to mention some certain topological alterations (there was more sand in dem dar days), to get a feeling for the film site layout you'll need to venture up into the woods to the north of the creek. Moving upstream, around the leftward protuberance you can see here, you are now in the zone where the film has started. Just at the start of the film (often edited out in television documentaries) one can see a damp area in the sand in front of the creature, which we believe is from this leftward jut of the creek. 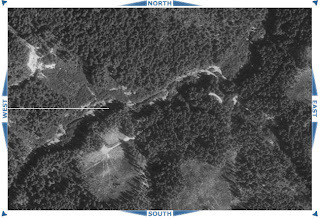 (We can't say for certain what the exact lay of the land was back then, but we're looking for older aerial images.) However, looking at old topos and these old sky shots, the structure of the creek and the streambed's geology seems pretty darn consistent with on-the-ground observations we made just last week. So, to get a real sense of the actual terrain of the film site, do as we did: just head all the way upstream until you see the straightaway heading north. Here you will see how deeply the creek has sunk since the film was made in 1967, where large banks descend down to the creek about seven feet or so. From this point look west, climb the lower bank area and enter the woods. Head northwest a bit, staying back off the creek a little, and you'll start to see the background canyon wall and comparable Douglas Fir trees, as in the film, as all about you are the same kind of alders as the film's creature passes through. (Check our previous post to see the Believe It folks documenting this area.) But now, there are just tons more trees. Back then they were nearly all washed out by a flood. These alders are young, a fast-growing variety of tree, and certainly are not the same ones as in the film. But they are growing in the same places, obviously due to water and soil conditions. IF you can call it "soil"--just scrape away an inch or so of forest loam and you'll see... SAND. This is the same kind of sand upon which Patty walked--deposited heavily back then by the huge flood of 1964--or at least the remants of the sandbar. The alder trees that have toppled over reveal an incredibly shallow root system. There are old, dead and decaying firs set in the ground that could very well be from the time of the film (does anyone know fir decay rates?). It still is a sandbar, just covered by scrappy, tough vegetation trying to take back the land. From here proceed all the way back to where you came down into the creek at the big bend, keeping eyes out for fine and subtle details. Try to erase all the maze-like wandering between the trees, fallen debris, and boggy fern-shrouded pits, and you'll really start to get a sense that this is the film locale. The perspecives are all RIGHT on. The distance from one end to the other, if looked at as the more or less straight and easy walk that the creature takes, is much shorter than it seems when navigating through the density of it, and the site as a whole really much smaller: maybe only a couple of football fields' lengths within the area the creature walked. The distances correspond neatly with the diagrams of Titmus, Dahinden, Green, Perez and Krantz. Imagine the creature at the end of the film, at the start of the bowling alley. Shortly after the filming, Bob Titmus tracked the creature's trail back up into the hills on the south side of the creek, up and to the west, so that it would have had a vantage point on what those strange hu-mans were doing down on the gravel bar. Look up from where you stand toward the cut of the rough road you drove in on, and this is where Patty sits, watching YOU. Watch the PGF on You Tube HERE, with cool narration from Bob Gimlin, and for a more full view of the start of the film see the X-Creatures episode HERE, starting to watch with John Green at seven minutes into the segment. Before going to the film site you must watch this footage at least a hundred times, and it helps to look at it frame-by-frame. Etch the details in your mind, then go. Thanks be to Cliff Barackman for helpful perspective on the site's location in today's world, to Tom Yamarone, Bobo and Scott McClean for getting me started at the film site, and always to the assiduous Daniel Perez for his fine documentary research and groundbreaking BIGFOOT AT BLUFF CREEK (it was Daniel's arrow and "X" on the map that first showed me the way forward). See links to their sites in our Outside Links section, to the right of this blog. Murray Field, outside of Eureka, where Roger Patterson and Bob Gimlin surely sent off their famous Bigfoot film of 1967--after all, the post offices were closed by the time they got back to civilization. Appearing in the Times-Standard the Sunday the Believe It Tour were visiting was an article on the Lockheed Fire burning in the Santa Cruz/Bonny Doon/Davenport area. Some compassionate folks put up a sign of concern for Bigfoot. Or perhaps, is it that Bigfoot is WARNING US??? The last photos are down in the overgrown film site. It is in dispute where Patty went after the film, up the hill (Titmus) or up the creek (P&G). This will all be explored and documented further this summer. Now the creek sits several feet lower in its bed than in 1967, and much of the original gravel bar is missing. The upper Patty vantage point does still exist. Read other entries on this blog in the last six or seven months or so for more film site and timeline issues. Thanks for reading!